Not a month has gone by without a Jewish holiday celebration and it is lovely to look at the calendar and see the dates to remind us of our history and traditions. 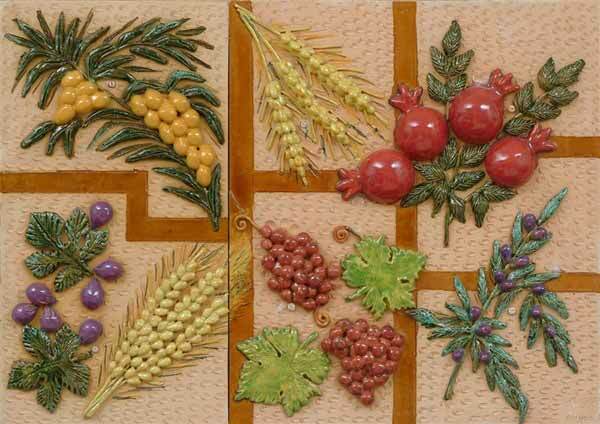 Shavuot, the Festival of Weeks is on May 26-May 28, the culmination of the SEVEN weeks since Passover. Mysticism makes everything a little more spiritual and since the Kabbalists consider the number SEVEN very powerful (a reminder of the week of creation), we feel the impact of the mystics . As a mother who gave each of her children two names, I like that Shavuot also has a second name, Festival of First Fruits, Yom Ha-Bikkurim. 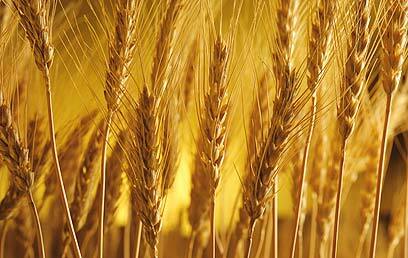 This was the time that the first grain and fruit crops were harvested. Just as Pesach brings us to spring, Shavuot ushers in the summer season. But before it gets too hot and in honor of the holiday when we celebrate the giving of the Ten Commandments, the laws given to Moses on Mount Sinai, enjoy this unusual cheesecake in commemoration of the holiday. It is customary to eat dairy foods as the Torah is traditionally compared to milk and honey, with their ability to nourish and to sweeten our lives. Grease a 9 inch springform pan or a deep dish pie pan. Grind granola in a processor and put in bowl. Mix and press into the bottom of pan and halfway up the side. Beat the cream cheese, vanilla, sugar and honey until smooth and blended. Add eggs one at a time beating lightly after each one. Put in cream and mix briefly. Pour batter into chilled crust and smooth top. Bake for an hour, test with toothpick which should come out clean but a little wet. The center will sink a little and the cake will shrink some from the sides of the pan. Turn off oven and let cake sit in oven for 20 minutes. In small bowl, mix sour cream and sugar very well. Pour over the cake and smooth. Sprinkle with crystallized ginger and chill until firm. Cover with plastic wrap when firm and chill at least 4 hours, preferably overnight. Serving suggestion: Top with berries or serve them on the side. This recipe will delight your friends and family and hopefully sweeten your celebration. Shavuot is such a special time that I remember my grandmother picked the holiday for her birthday, having no record of her birth date in Turkey. She said she wanted to be born when the Torah was born. Beilin, speaking with the Fundermentalist within sight of both Steinhardt and Bronfman – at their own party, no less – said that he, Beilin, came up with the idea to send Diaspora Jews to Israel for free in 1993, when he, Beilin, was deputy Foreign Minister under Shimon Peres. When Shavuot ends next week, the Jewish wedding season will get into full swing. Jewess looks at the topic from the perspective of an 1898 article in the magazine American Jewess written by “An Immigrant.” It is a great on-going feature of that blog that you should definitely check-out. Finally, while we know it is a mitzvah to visit the grave of a Jewish scholar, this is just creepy–not to mention we question the hygenic conditions. The timing of Friday’s free children’s program, Rhythm and Roots: The Afro-Semitic Experience could not be more perfect. This year’s Washington Jewish Music Festival occurs immediately before the Jewish holiday of Shavuot, which begins Sunday evening, June 8. Rhythm and Roots explores the Jewish and African diasporas through interactive music-making. On Shavuot, we read the Book of Ruth, a beautiful story about the experience of being a stranger in a strange land. It is easy to forget that the Jewish people in America are a diaspora people and that not too long ago, we were new immigrants and faced the numerous challenges that come from starting over in a foreign land. This collective memory that we share can guide us in how we treat strangers in our midst. In the Book of Ruth, Boaz shows great kindness to Ruth and helps her succeed without ever compromising her dignity. So please join us on Friday morning at 10am as we explore and celebrate the diaspora experience thought music – just in time for Shavuot, when we read of Ruth’s own journey to her new home.